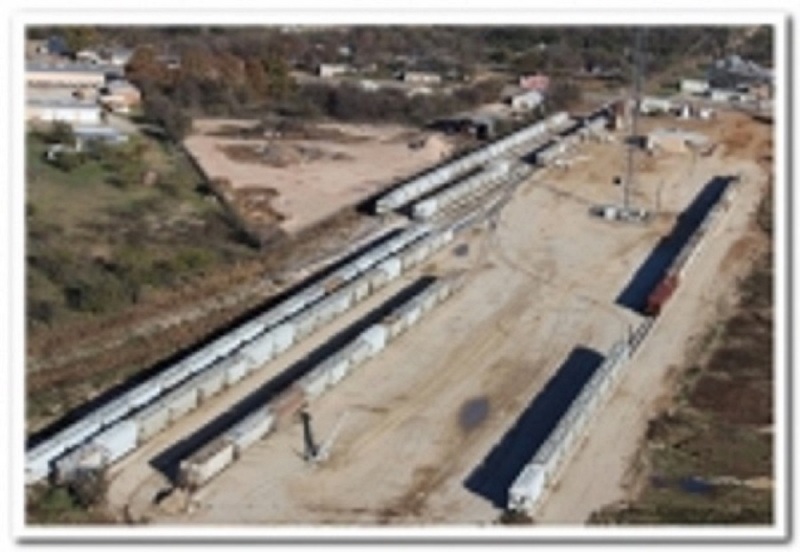 We have 7,300 feet of available storage space allowed at Jacoby Rail. An aerial view of the vast number of storage rail cars available at Jacoby Rail. RBT conveyors make us versatile in loading and unloading rail cars.